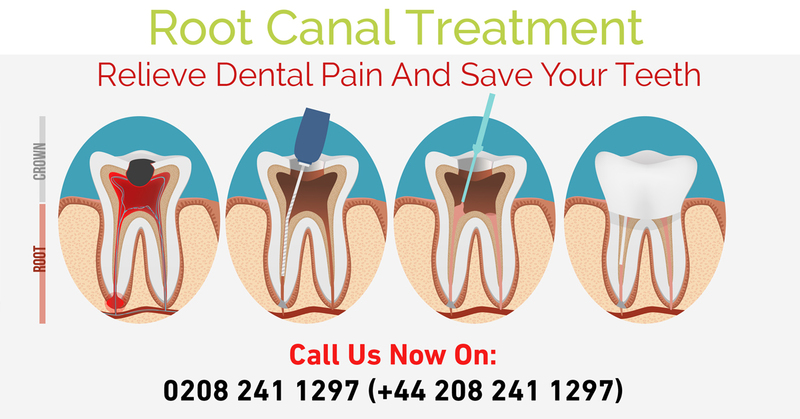 Root canal treatment is the very common type of treatment that every dentist performs. In fact, most people visit dentists for root canal treatment only. First, let us understand what is root canal then we will move to another topic called treatment. A root canal is a funnel-shaped tissue rooted from the gums to the tooth. This tissue runs from the outer layer of the tooth to the tooth’s root. Means root stems have root canal where the main nerve tissue of the tooth is found. If this root canal is contaminated with disease then only root canal treatment or operation can prevent this infection. The treatment only requires when there is decay of tooth or infection arises and it can result in loss of tooth. In this treatment, soft tissue is removed from the root canal and replace with the cement. The soft tissue in canal holds the nerve tissue and this process requires anesthesia. This will numb the tooth and surrounding area, once its effect is on, the dentist drill down the decayed tooth, remove it or infected tissue. At the end of canal, it gets narrow, hence dentists use manual device to extract the soft tissues. Later the space filled with the rubbery cement so that no air gaps remain in the root canal. Dentists will take the x-ray of the treated tooth to check whether no air is left in filling. In case, they found air in the filing, they have to re-fill the tooth again after extracting the previously filled material. No doubt, root canal treatment serves it purpose of curing decayed tooth or infected tissues but for some reasons it is painful. It can give little sensation while treatment when removing the soft tissues at nerve ending.